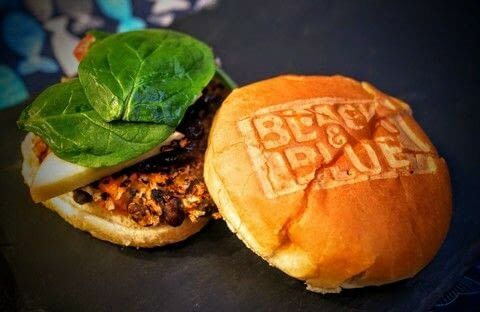 Black bean, blue cheese and sweet potato burgers served on a branded bun! 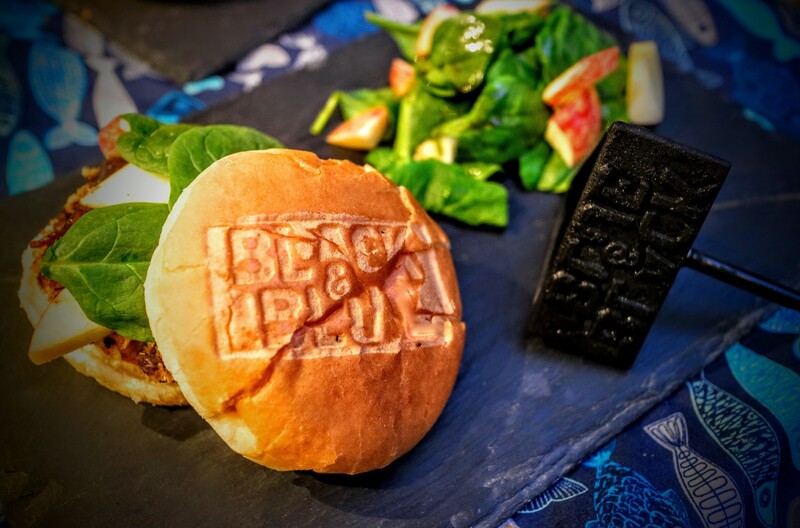 Inspired by the Black & Blue brand on the BBQ Stamp from Luckies, this black bean and blue cheese burger is stuffed with sweet potato and topped with red onion chutney, basil and apple. 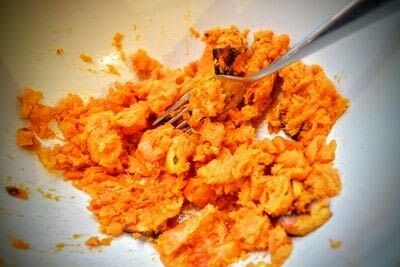 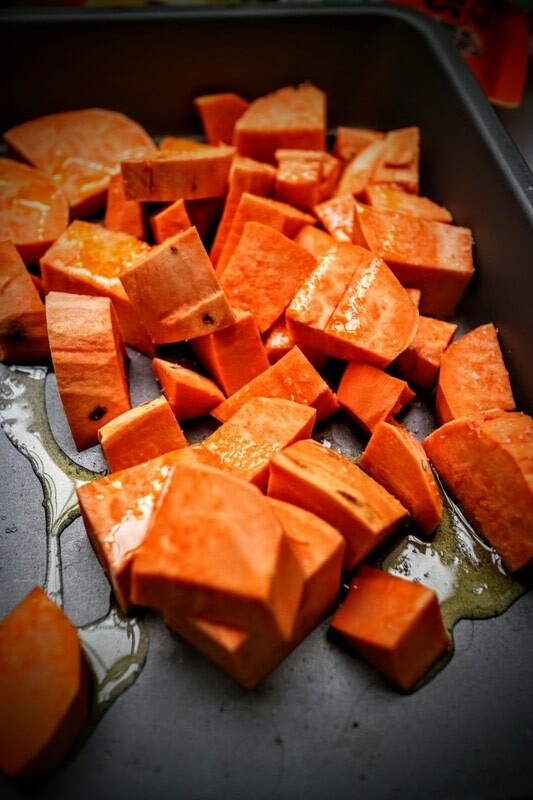 Cut the sweet potato into chunks, coat with olive oil and salt and roast in a hot oven for 45 minutes. 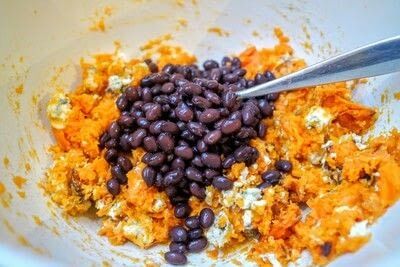 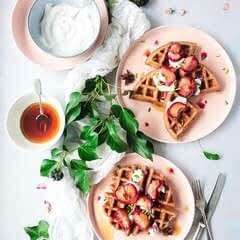 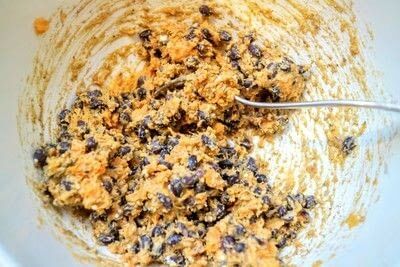 Place the cooked sweet potato in a bowl and mash with a fork. Crumble in the blue cheese and strain the black beans before adding them. 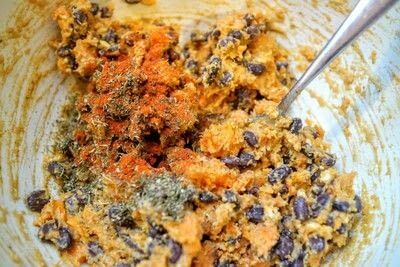 Add the paprika, dried herbs and season with salt and pepper. 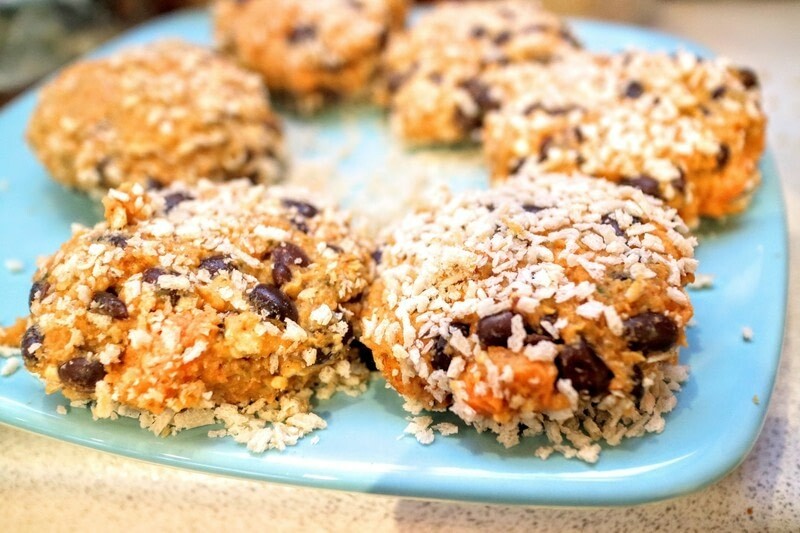 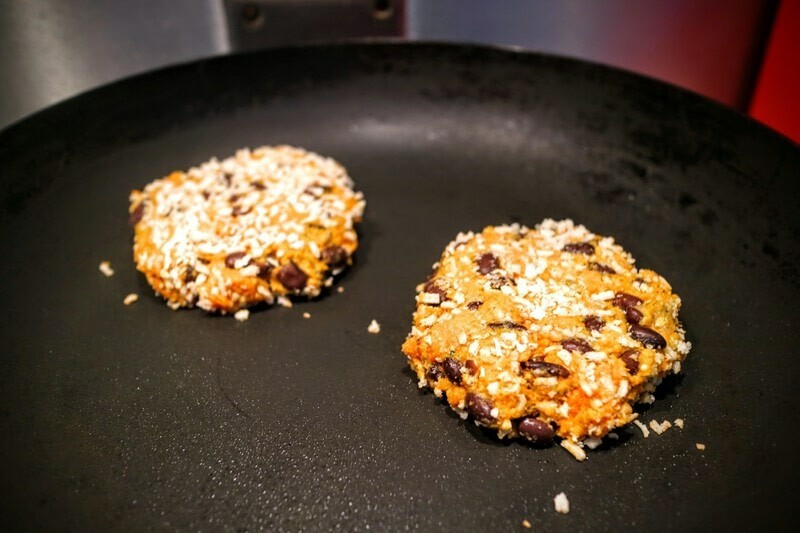 Mould into six burger patties and coat each with breadcrumbs. Heat a little oil in a frying pan and cook the burgers for 5 minutes on either side until golden. Serve on a toasted burger bun and top with red onion chutney, basil and apple slices.